Beginning in 2008, our area saw four years of volatile and declining home values. In 2014 and continuing in 2018, the real estate market in northern Illinois began to rebound. Though most sale prices are still below pre-2008 levels, the market seems to have turned a corner. But despite property values starting to increase over the past few years, we still have a long way to go. Yet even with the lower values, we still see our property taxes increasing. This is a very challenging concept for property owners to accept. 2019 will be our next General Reassessment Year (formerly called the Quadrennial), which occurs every four years as mandated by State law. Our last Quadrennial was 2015. For the 2015 Quadrennial, all properties were reviewed and reassessed for market value and uniformity. 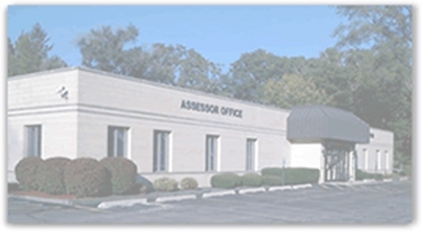 As the Assessor, I'm responsible for assessing property at one-third of the fair market value. Properties are valued as of January 1st of each year based upon the three prior years' sales. However, the county and the state monitor assessor values so that values throughout the county and state are equitably assessed. The formulas that are used to measure our accuracy and equity always include consideration of actual sales over a three-year period as required by law. Therefore, when our office valued properties as of January 1st, 2018 for the 2018 Assessment Year (which is the assessment that your tax bill payable in 2019 is based upon), we were obligated by law to look back at the sales that took place during 2015, 2016, and 2017. We are not permitted to just look at the marketplace that existed on January 1st, 2018. At the bottom of this page is a chart that illustrates Residential sales activity in Bloomingdale Township from 2009 through 2017, using sales ranges beginning with the lowest single-family Residential property sale and ending with the highest single-family Residential property sale. Back in 2008, we experienced the first real decline in the sales range of homes in decades, a trend that continued through 2013 (though we did see sales prices trending back upward in 2014-2017). Much of this drop in value has taken the form of compulsory sales, property transfers that typically take place in distressed circumstances. In the past, State statute prohibited Assessors from considering these sales for property assessment purposes, but now those circumstances have changed. A recent and historic change in State law is removing that prohibition. Thanks to Public Act 096-1083, the State of Illinois changed the criteria for usable sales. Our office can now consider certain compulsory sales as part of the assessment process, and taxpayers may also submit compulsory sales in their assessment appeals as long as they meet the State's new criteria. This includes using bank-owned sales, sales resulting from foreclosure proceedings, and "short" sales. Note, however, that under the new State law there are a number of specific categories of sales that are still excluded, such as related sales, sales of partial interest, Quit-Claim deeds, Sheriff's deeds, transfers of properties not advertised for sale, et al. We believe this was a positive change that benefits the taxpayer, allowing us to develop assessments that more accurately reflect the current troubled market. Integrating this historic change will be an ongoing process. The State Legislature is working to further remove statutory barriers to using compulsory sales in our assessment process, and allow us to make our assessments more closely reflect the current real estate market. Most importantly, regardless of what happens in the marketplace, everyone should keep one fact in mind: even when assessments are reduced this does not automatically mean that property taxes will go down. Please remember that your property taxes are generated by your area's local tax levies which pay for your local services, such as schools, parks, fire protection, and others. We will continue to monitor the sales activity in our Township as we work on the current assessment year, 2019. Based on the market, we will calculate assessments as of Jan. 1, 2019, as measured over a three-year period (2016, 2017, 2018) as required by State law. We plan to close our books for the 2019 assessment year and turn them into the County in mid-June.